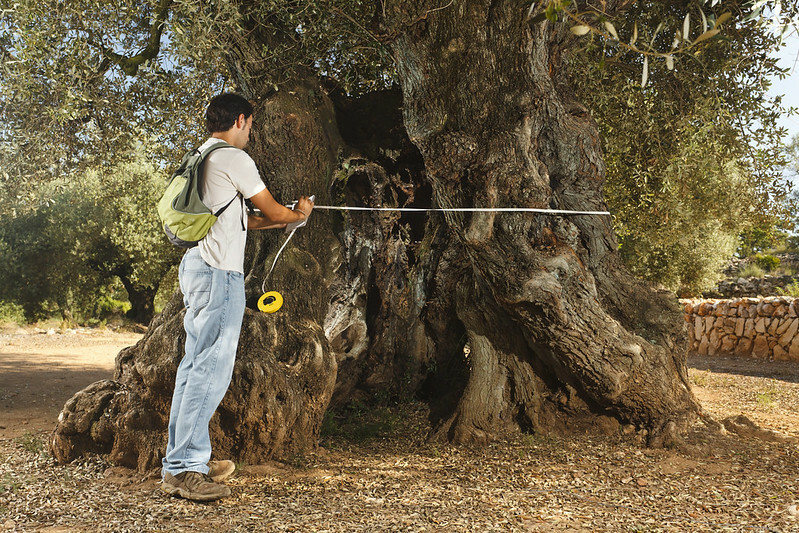 Ancient olive trees can be found all over southern Europe, but a particular concentration in the area of El Sénia, in North East Spain, is the location of this project. The location lies at the intersection of three ancient kingdoms (Aragon, Valencia and Catalonia), and contains some 4700 monumental trees of the Farga variety, which produce an oil of special quality. In part they run alongside, and their planting may date back to the Roman Via Augusta. The origin of the olive is at least Phoenician/Roman, and may be earlier. These specimens have survived for an amazing length of time and still produce excellent oil. The aim of the project was to secure protection for this remarkable survival: the trees themselves and the landscape of stone walls and enclosed fields they generate. The dangers they face have included uprooting for replacement with citrus crops, or the planting of faster-growing varieties, or even, amazingly, wholesale uprooting to become ornaments in the gardens of the rich. The campaign for their protection has brought together an extraordinary variety of supporters, from local and national government to conservancy bodies, land-owners, oil mills, restaurants, university departments and of course the local public.